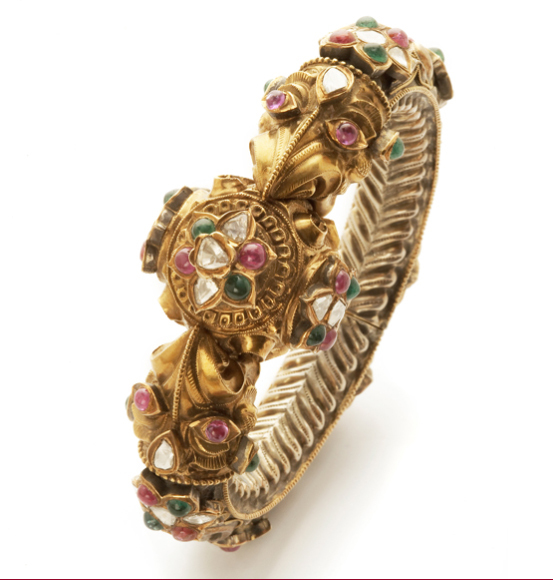 In Rajasthan, no marriage is complete without a gift of the traditional nauratan bracelet to the new bride. “Nauratan” literally translates as “nine precious stones”, each of which symbolises one of the cosmic planets and brings good luck. Now, Boucheron returns to its India-inspired roots with a new perfume – the Jaipur Bracelet – whose intricate jewellery-like bottle has been inspired by this Rajasthani classic. The fragrance itself is very, very feminine and perfect for those special moments when you want something truly memorable. The composition blends violet leaf, petit grain, basil, hyacinth, lily of the valley, iris and cypress for a “woody floral” feel. The fragrance has been created by Carlos Benaim. The Original Jaipur – which was more of a “fruity floral” and has been discontinued – was created by Sophia Grojsman.